"I had one of my friends go out there with me, and as I was running, I was like 'we're going to do it' and she's like 'would you stop saying 'we'?' But it is a joint effort. I don't care how good you are." - Amy Palmeiro-Winters, a fantastic ultra-runner who does it all with a prosthetic lower leg. Is it rude of my neighbor to fire up his snowblower at 5:45am? Top Great Britain talent will line up against the top world talent. With Dibaba out in 2009, Florence stepped in to take the world title. We'll see this weekend the start of Dibaba's fresh 2010 campaign. 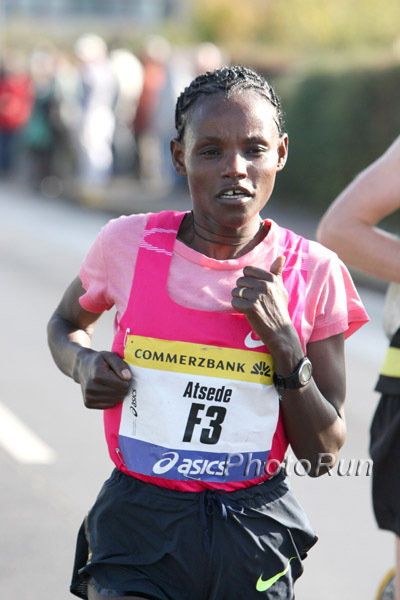 Her 2009 ended with an amazing 15km road world record in the Netherlands.